It is the season for the ‘common cold’, an infectious disease triggered by hundreds of different viruses and typically spread by hand to hand contact between people or touching objects that are harbouring the pathogens. It is not bacterial and therefore antibiotics will not help and will only encourage antibiotic resistant disease. The key to preventing colds and recovering from them quickly is maintaining a strong immune system by optimising your diet, getting enough sleep and exercise, managing your stress levels and practising good hygiene with good hand washing techniques. Being exposed to a virus does not automatically mean that you will catch it. If your immune system is strong and at its peak your body will be able to fend off the virus without showing any signs of being unwell. So how do you keep your immune system strong? There are foods that will help and those that will hinder. Sugar is definitely a bad food, it can put your immune system to sleep for hours allowing pathogens to take hold, so cut out all sugar. Avoid any processed foods that contain very little goodness and eat lots of fruit and vegetables, especially green ones either steamed or made into smoothies,. These foods leave an alkaline ‘ash’ once digested, and no viruses can survive in an alkaline medium. Eat foods high in Vitamin C as it is well known for its effects on infectious diseases, these include citrus fruits, red bell peppers, broccoli, brussell sprouts, butternut squash, papaya, sweet potatoes, and tomatoes. Kiwi fruit are also a good source of vitamin C and also vitamin E, folate, polyphenols, and carotenoids which are all important for the immune system. 50% of your immune system is in your gut and an inappropriate and unbalanced diet that is high in sugars and low in healthful fats and beneficial bacteria will result in an unbalanced mix of microorganisms in your digestive system and therefore a low immune system. You may have heard the old adage that chicken soup will help cure a cold. Well there is scientific support for such a statement. A study published over a decade ago found that chicken soup really does have medicinal qualities, significantly mitigating infection. • Amino acids such as glycine, proline, and arginine , all of which have anti-inflammatory effects. Chicken also contains an amino acid, cysteine, which can thin the mucous in your lungs and make it less sticky, and if you make it as a hot and spicy soup with plenty of pepper, the spices will trigger a sudden release of watery fluids in your mouth, throat, and lungs, which will help thin down the respiratory mucous so it’s easier to expel. Black peppercorns also contain high amounts of piperine, a compound with fever-reducing and pain-relieving properties. Coconut oil contains lauric acid which the body converts to momolaurin, a monoglyceride with the ability to destroy viruses. Garlic is a potent antiviral anti bacterial agent that is best eaten raw and crushed! Apple cider vinegar has anti bacterial and viral properties and boosts your immune function by raising the alkalinity of the body. Vitamin C is one of the best antioxidants and well known for its healing properties. Research published in the Cochrane Database of systematic reviews 2013 found that regular supplementation with vitamin C had a “modest but consistent effect in reducing the duration of common cold symptoms.” Endurance athletes who took vitamin C supplements also halved their risk for the common cold. It is important to take a reasonable amount to to be effective. I take 4gms a day to help boost my immune system. Vitamin D is another nutrient that plays a part in most diseases especially infectious ones. It has been found that a deficiency of vitamin D lowers your immune system and makes you more susceptible to catching a cold and other respiratory infection. There are several studies that show an inverse association between lower respiratory tract infections and vitamin D levels. The best source of Vitamin D is of course sunlight so it is important to get 15 minutes a day onto exposed skin! However in this country that is well nigh impossible especially in the winter months, and so I recommend that at this time of the year you take a supplement of vitamin D3. It is a good idea to take a K2 supplement as well when taking high doses of vitamin D3. Zinc is a well known healer and research shows that if you take a supplement of zinc within 24 hours of starting a cold it can reduce the time that you have the cold and the severity. Flavons are a new product from Hungary and formulated by professors who have won Nobel prizes for their work. They are made from concentrated organic fruit and vegetables and each teaspoon is equivalent to eating the nutrients in 1.1kg of fruit and vegetables. The immune boosting weapons are flavonoids which are the antioxidants in plants and come from the colour of the fruits and vegetables, the largest amount being in the dark berries. Curcumin is the pigment that gives turmeric its yellow-orange colour and is well known for its potent anti-inflammatory effect. Propolis a bee resin and one of the most broad spectrum antimicrobial compounds in the world. It also contains caffeic acid and apigenin two important compounds that aid in immune response. Olive leaf extract known by the ancient Egyptians and Mediterranean cultures for a variety of health promoting uses and it is widely known as a natural, non toxic immune system builder. Medicinal mushrooms such as shitake, reishi and turkey tail have anti inflammatory, anti vital and anti bacterial properties. Echinacea is one of the most widely used herbal medications in Europe to combat colds and infections. 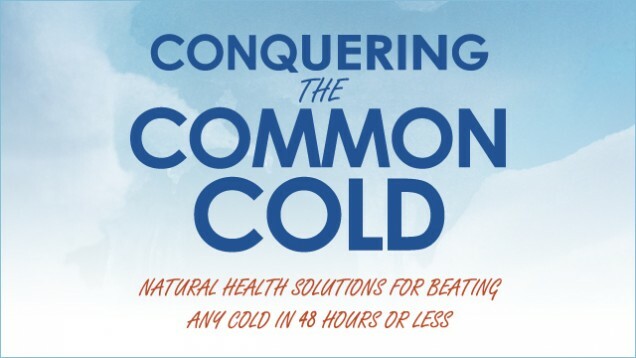 One review of more than 700 studies found that Echinacea can reduce your risk of catching a cold by as much as 58%. So to reduce your risk of catching viruses and bacterial infections make sure that your immune system is strong and at its peak and you will go through this winter free from coughs, colds and the flu. Prev:Why women need this particular mineral….